When a professional is negligent in some way, it is referred to as malpractice. Some types of malpractice (legal, broker, and accounting) only cause monetary damages, while other types of malpractice (medical, hospital, and dental) can be responsible for physical injuries and deaths as well as monetary loss. 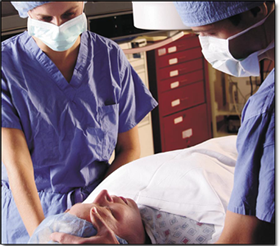 Malpractice cases are difficult to litigate since they often involve injuries or damages that are not readily apparent to the person involved because people place their trust in professionals and, thus, are not quick to associate injuries or financial losses with negligence on the part of doctors, accountants, brokers, attorneys, and other professionals. We have successfully represented numerous clients in many different types of professional malpractice including several against attorneys and law firms for legal malpractice. We pride ourselves on our unique ability to handle all types of complicated legal cases on behalf of our own clients and for lawyers who need assistance handling complex malpractice cases.